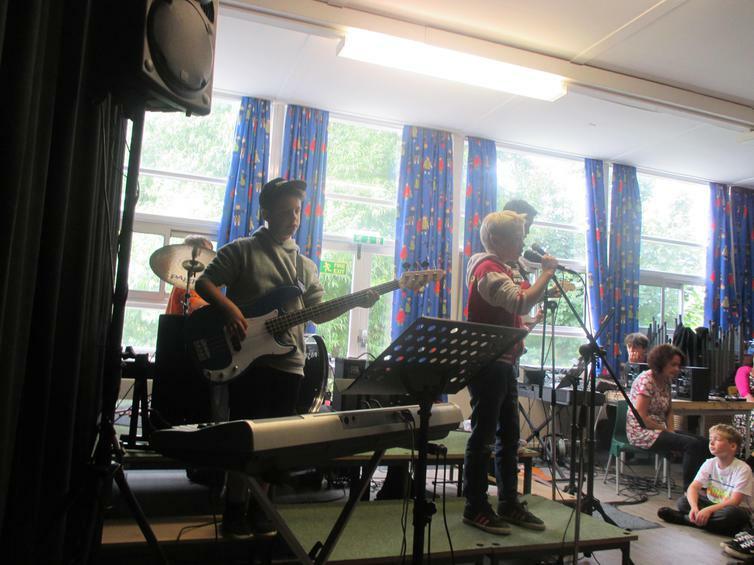 We had lots of fun at Battle of the Bands this afternoon and that was the advice from our judges - Dave Brooking (drummer) and Simeon Carter-Dillon (singer) - HAVE FUN! 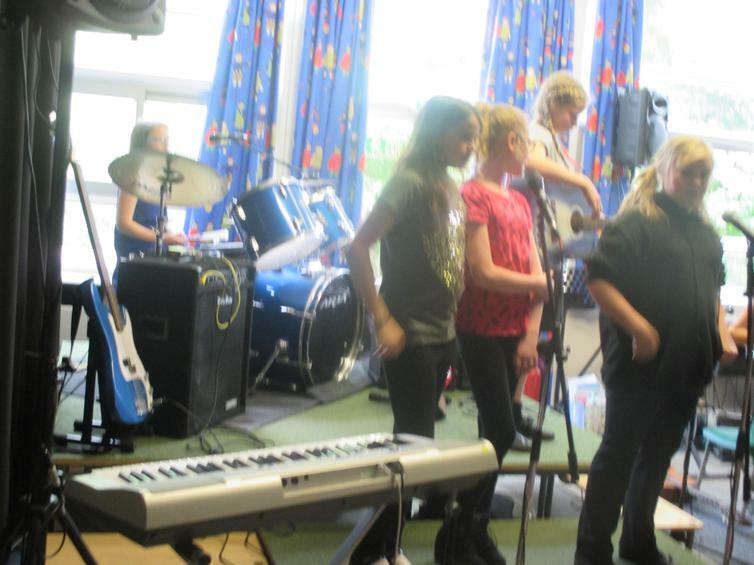 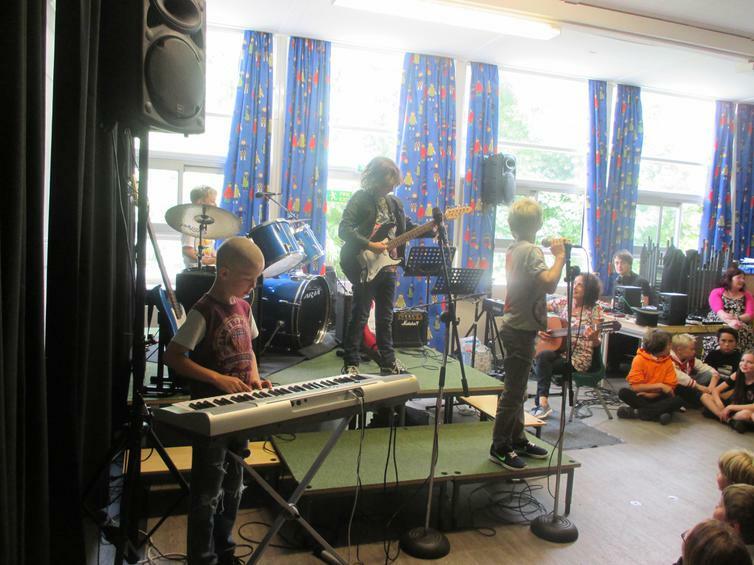 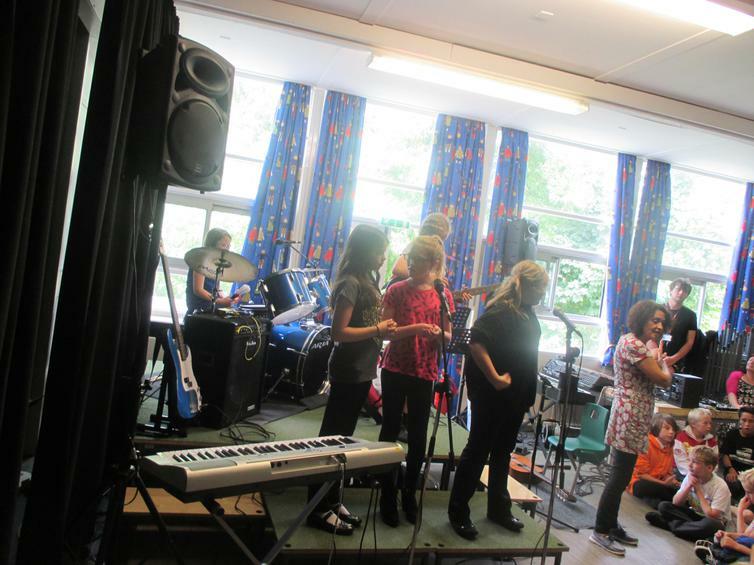 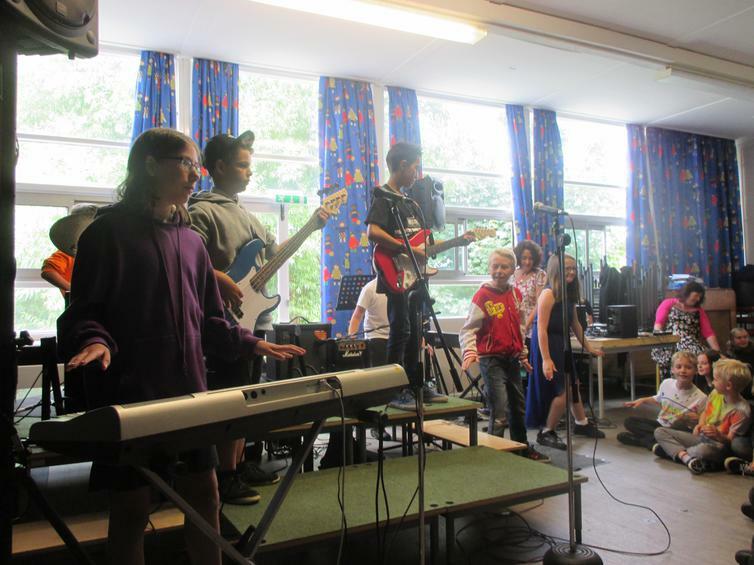 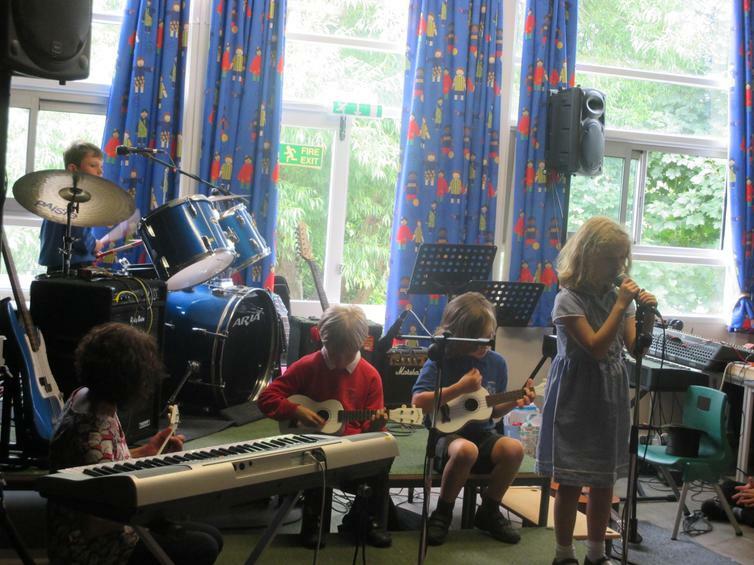 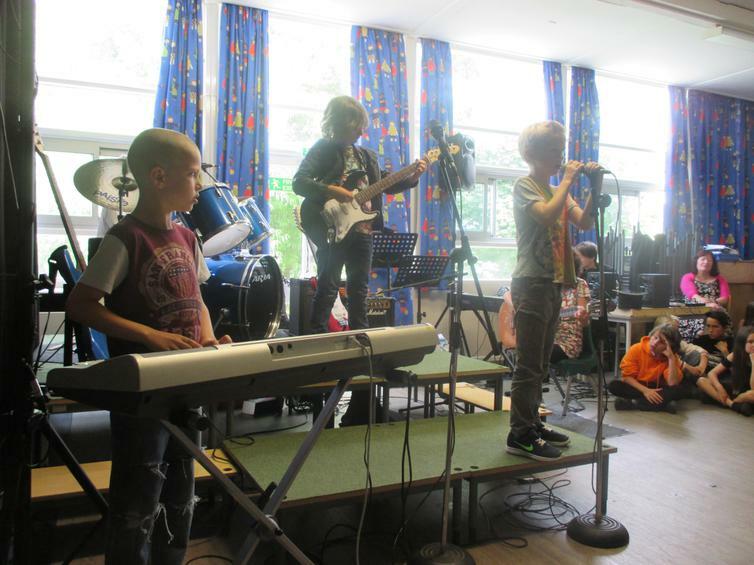 We started off with a warm up with the Year 6 band and 'Wipe Out'. 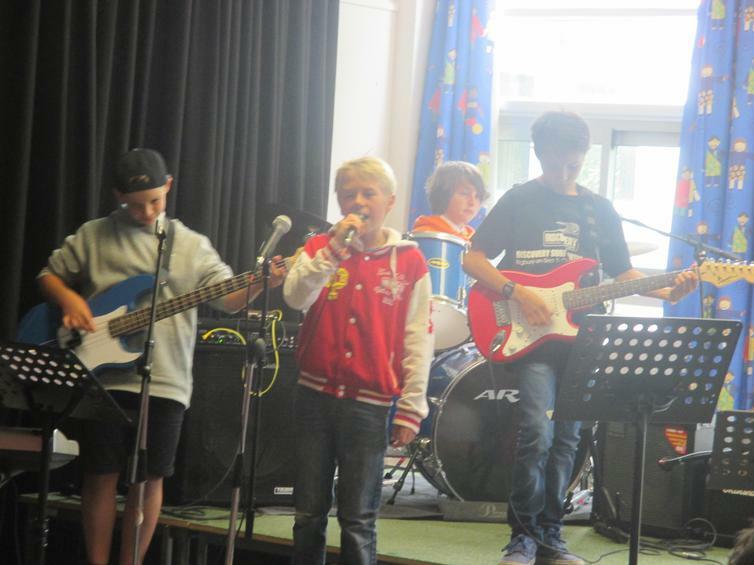 Sam Jones provided sound support before the bands started and in between performances; lots of the boys were keen to learn how his equipment worked and were keen to have a go! 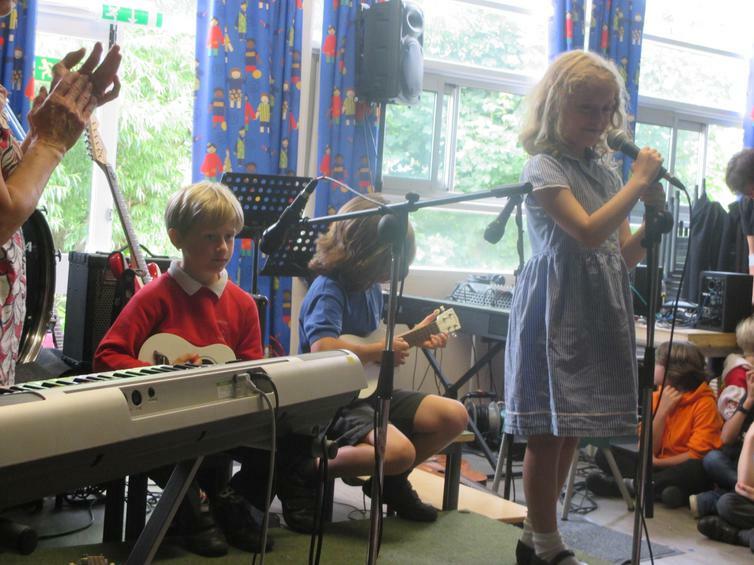 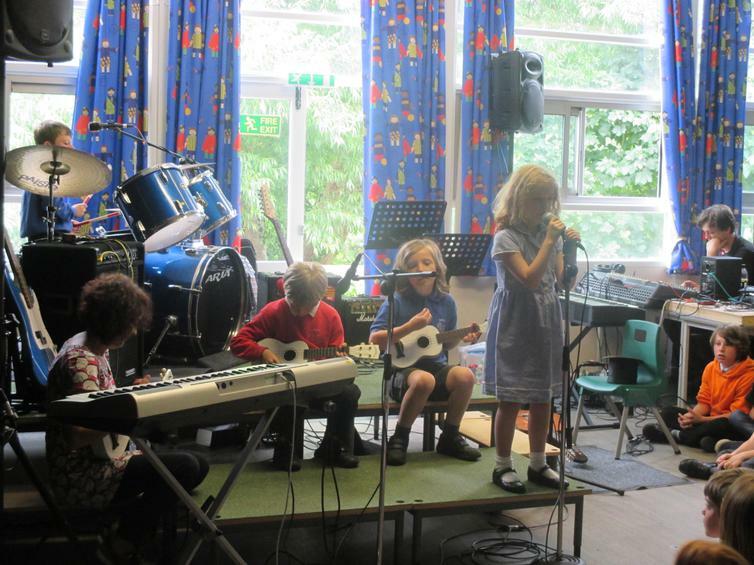 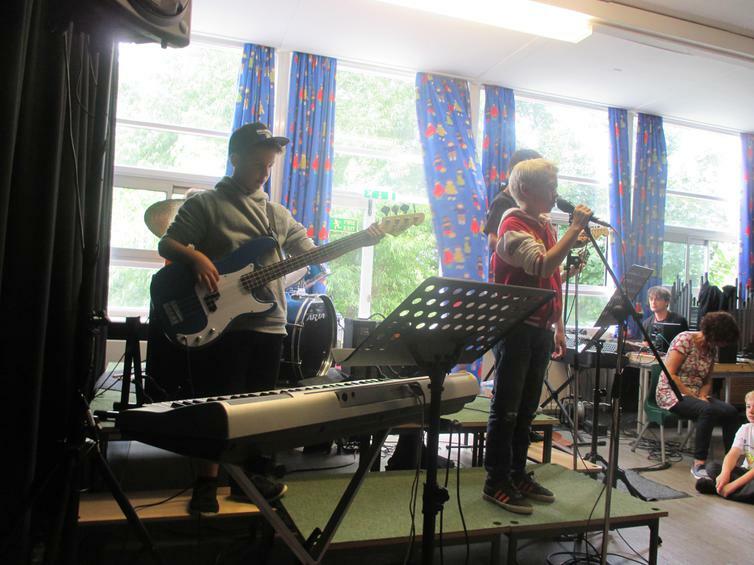 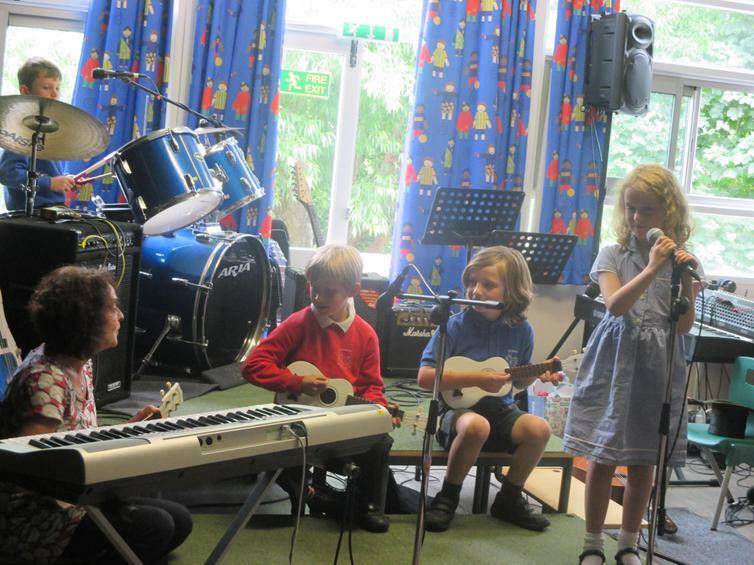 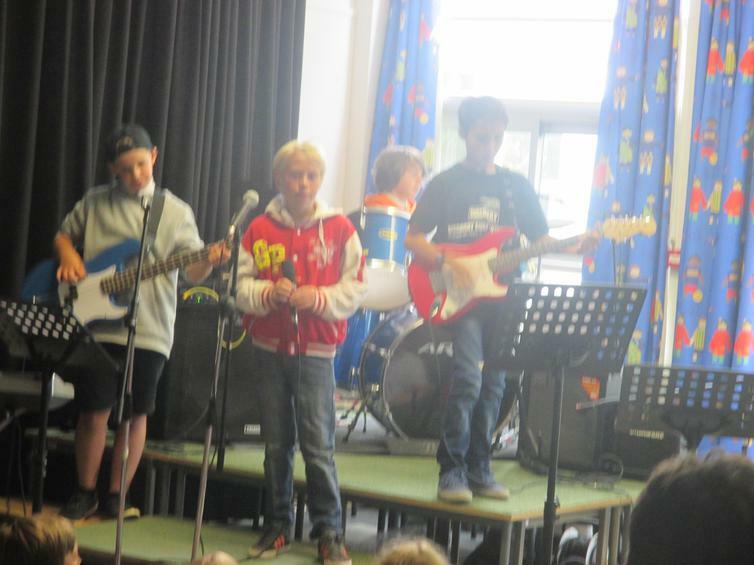 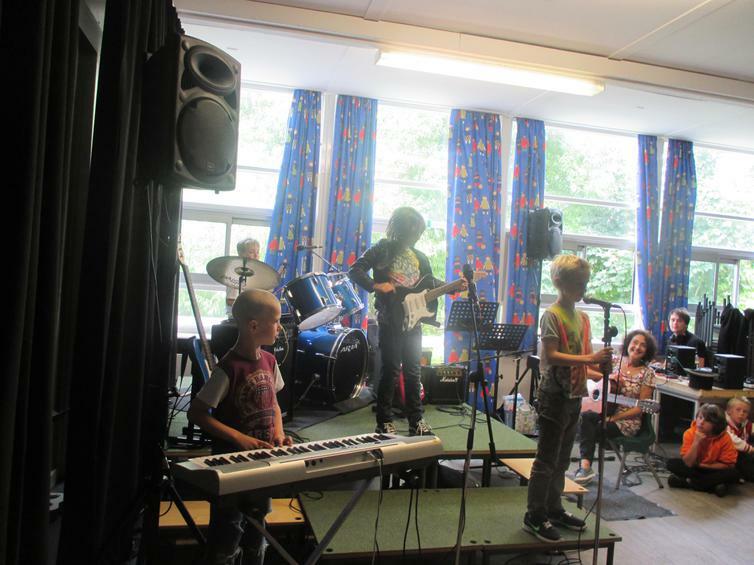 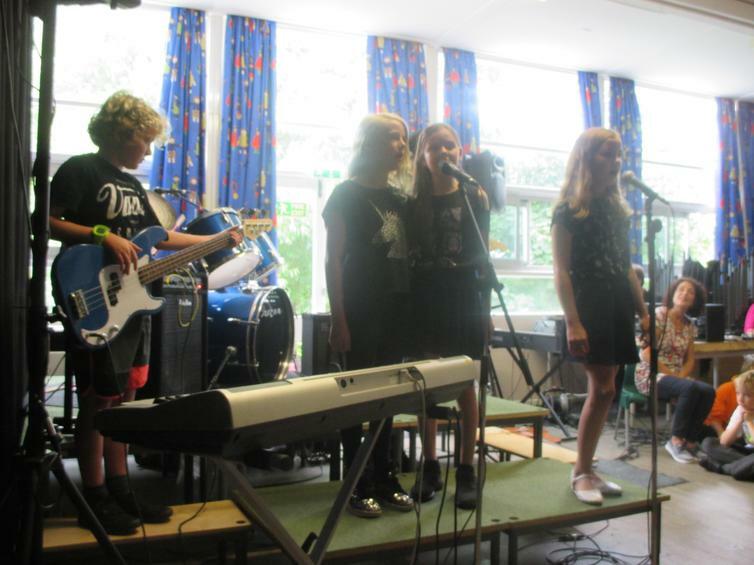 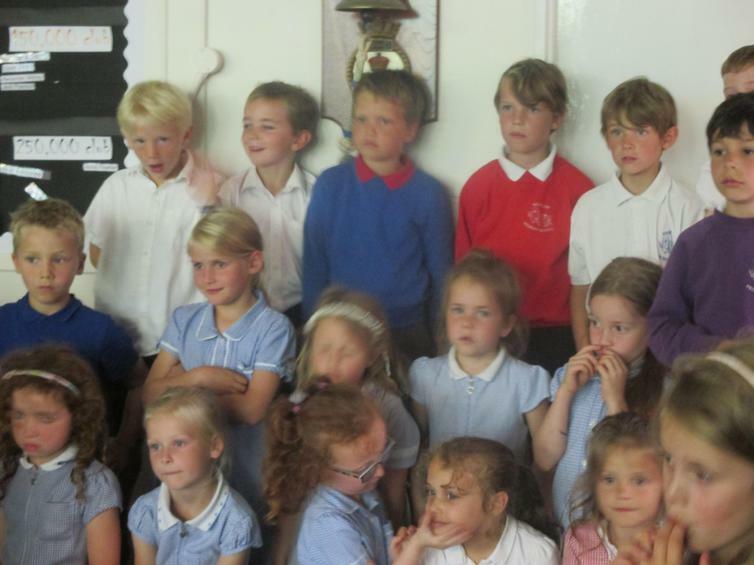 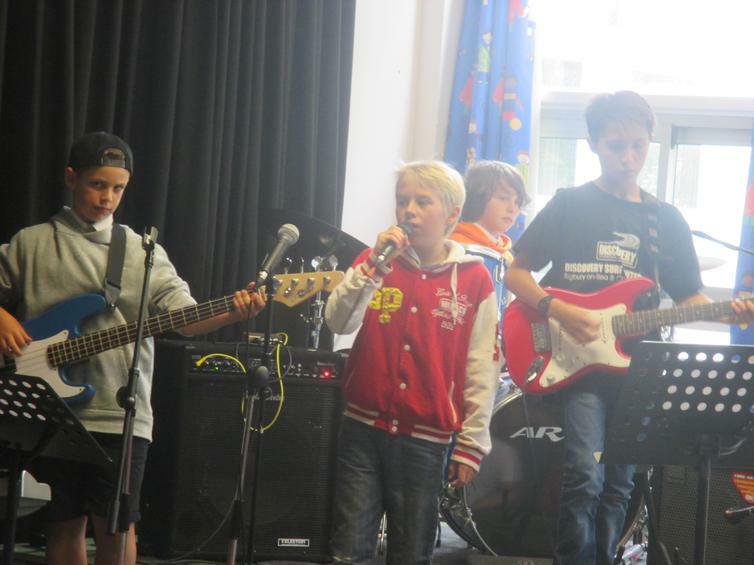 As with Wembury's Got Talent, we were treated to a range of brilliant performances. 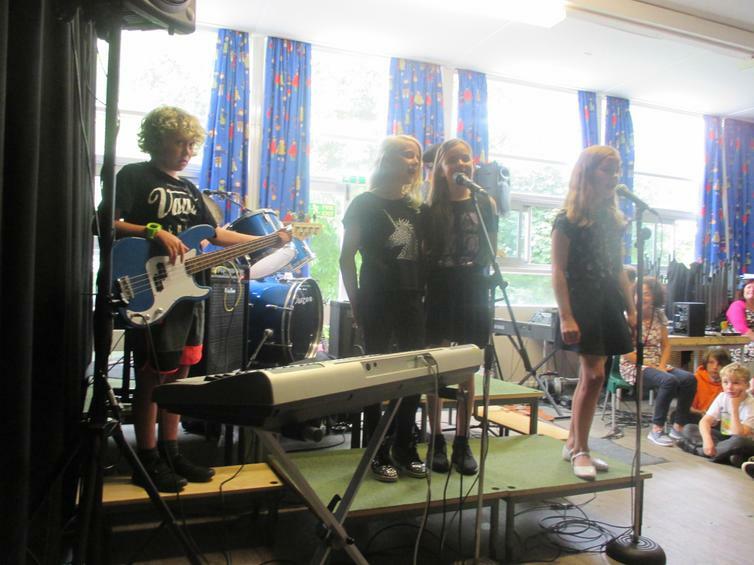 The children should be proud of themselves - we are impressed with their confidence and courage to perform in front of all of the children and adults watching. 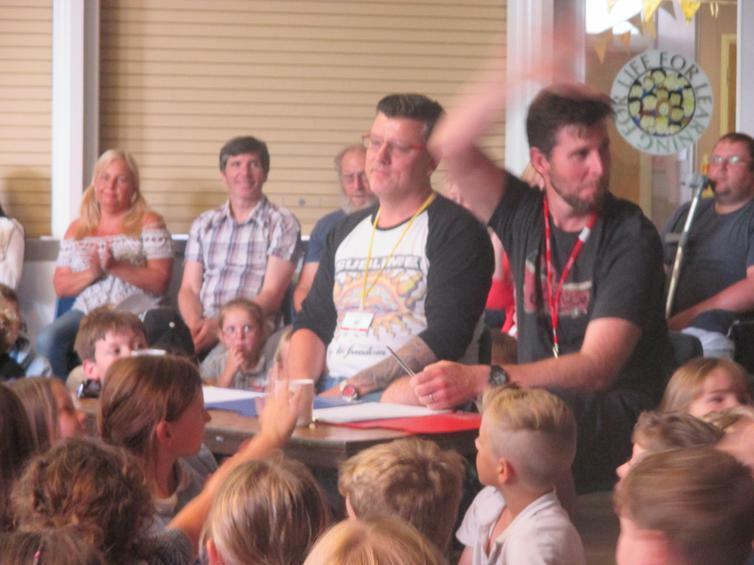 After much deliberation, the judges admitted they had had a very hard decision to make. 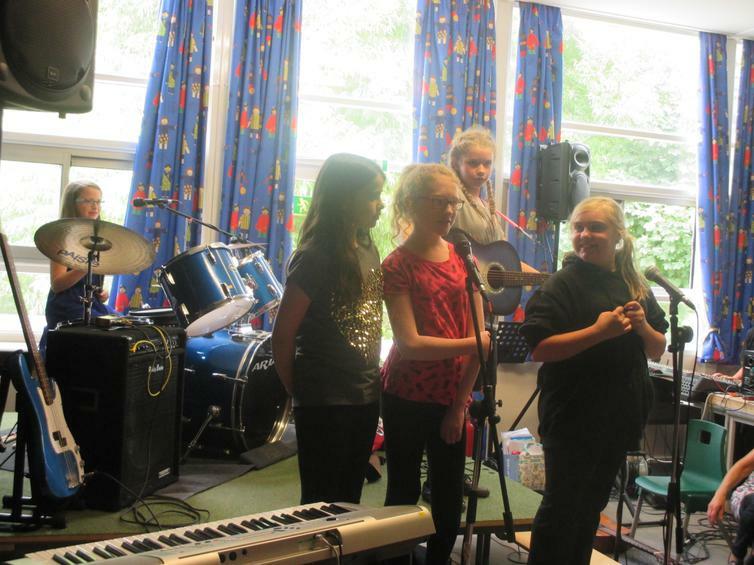 They gave each band really valuable, specific feedback and then revealed their winner. 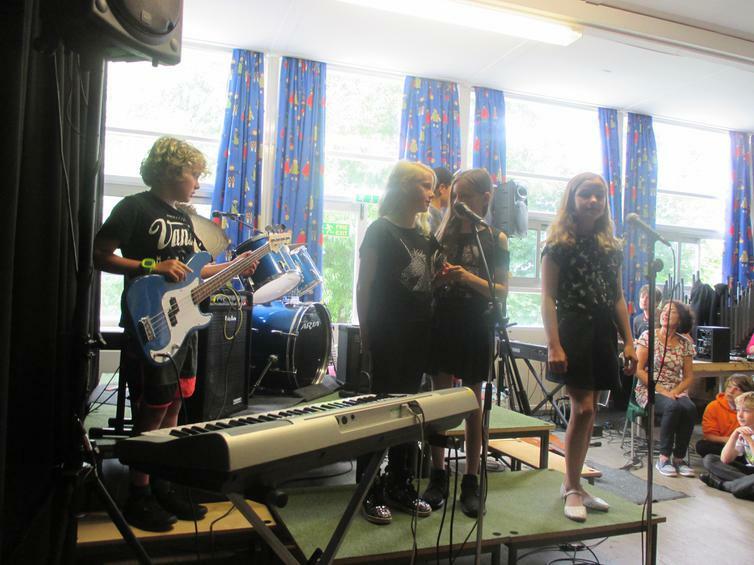 Well done to both Year 6 bands who were chosen as joint winners! 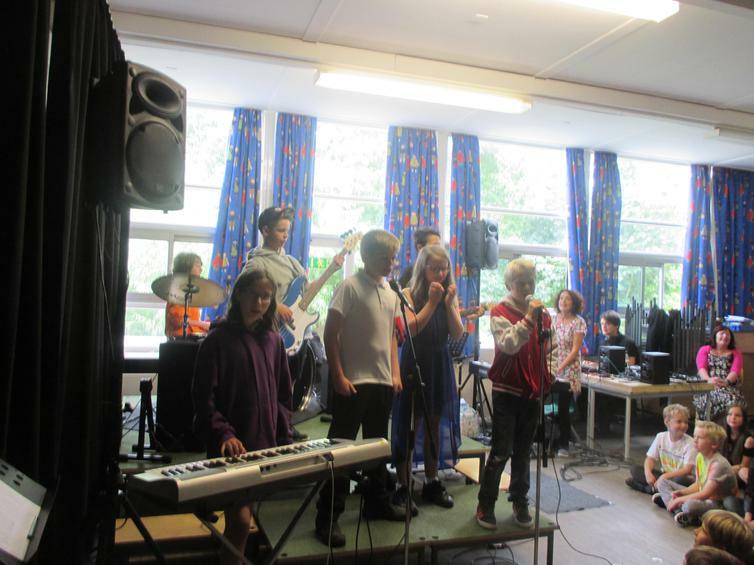 Once again, a huge thank you must go to Ms Boucherat for organising another brilliant event. 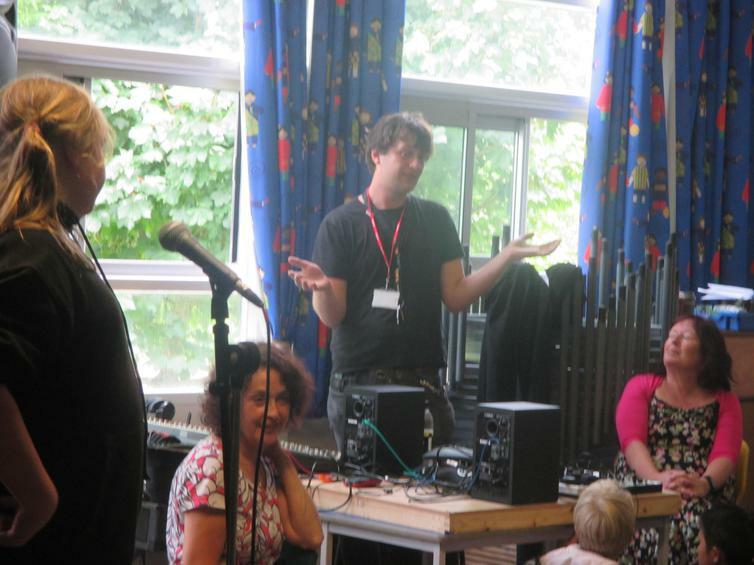 We would also like to thank our judges, sound technician and everyone else who supported the event. 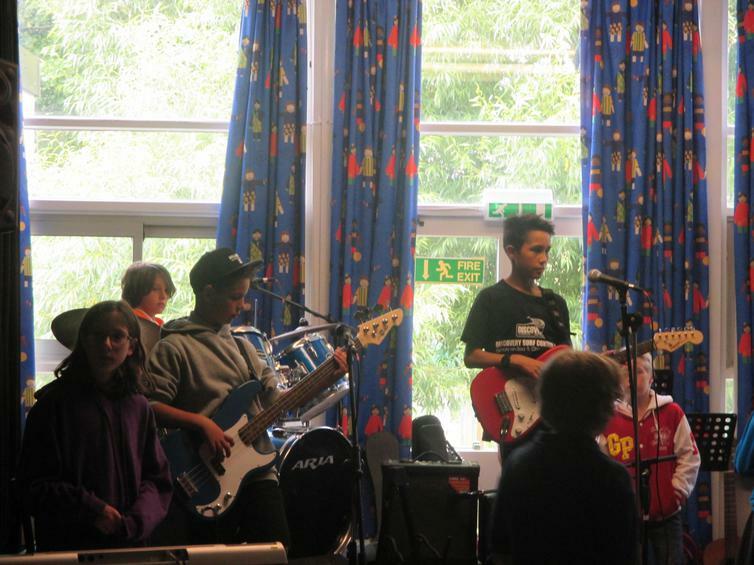 For videos of all five performances, check out our Twitter feed.